Mini computers are more than just cute, they can be tremendous learning tools and good opportunities to play around with new things. The best part is that these miniature devices are sometimes much more than meets the eye and also usually inexpensive. And none are more inexpensive than the VoCore mini Linux computer, especially at $39. 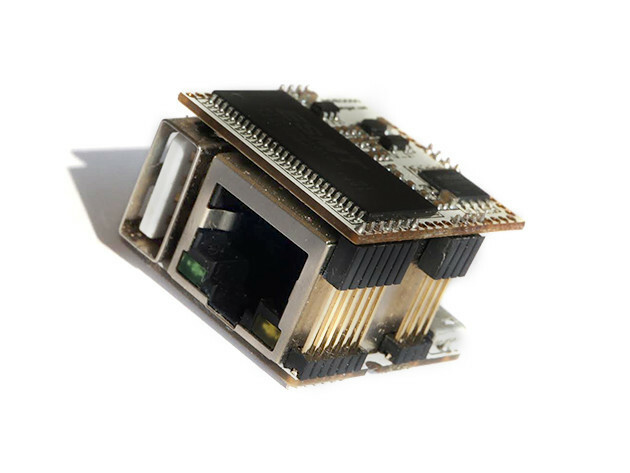 This minuscule machine can be your next router, with OpenWRT already installed, or you can strive to make it something more. What, you might ask? That’s entirely up to you, and to help you learn we’ve got a Linux Learner Bundle for only $49. Five courses designed to teach you about how absolutely awesome Linux can be, getting you familiar with that magical command line interface and even with the different capabilities of the Linux kernel. Note: Needs stable power input; 5.0V USB phone charger recommended. High temperature or static electricity will cause permanent damage. Solder maximum is 260C at 6 seconds.